I don’t know about you but everyday I wake up there is this giant mountain of to do’s waiting for me and threaten family chaos and destruction if I don’t get it done. Ok. Maybe you don’t get that weird visual when you wake but, hear me out on this. Most of us have a crazy list (even if not listed) of laundry, dishes, cleaning, meals prepping, working, exercising, project finishing, emailing, errand running…oh, yeah, all while watching, feeding and taking care of the kiddos, of course. This is what a typical story of my life would run like: I would mentally go over my to dos and many times I would wonder how I would ever tackle those things to completion. Then I would start to realize that there is no way that I would get everything that I wanted done and I have to figure out what really is most important. It would be a battle between, “lets see, is it more important right now to have clean dishes or clean underwear?? AH! I guess I need both but I can’t decide what I should do first…except for now the baby is crying and the toddler’s found the sharpie and is about to write on the cupboards!! EEEek. Then I usually would try to stop the immediate chaos only to find that chaos led to more and more chaos and eventually to a mother in a heap of unlaundered clothes, dirty dishes, helplessly defeated. The kids that I poured all my energies to care for suddenly become the roadblock to what I wanted accomplished for my day. AGH. Then those thought would come…’If only I didn’t have kids, right? Only then would I get all these chores done and free myself from all this crazy stress! BUT WAIT. If I didn’t have kids, I wouldn’t need to be doing loads and loads of laundry and dishes and repeatedly clean up the floor as much as I do. I wouldn’t even BE here at home, I’d probably have a full time job. I would be sitting at my job wishing, just wishing I could just stay home and have kids. Kids to love and raise and take care of. DUH. Kids are not the element to get rid of! They are why I do the things I do in the first place. What I do is all is for them in the end! But. I’m learning. I’m learning that there are tricks in prioritizing my day. 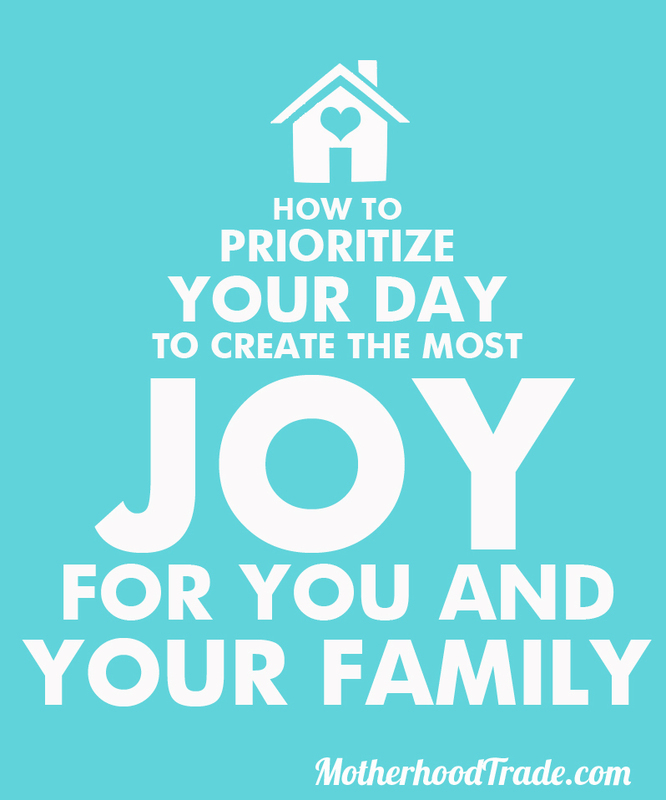 Not just to get those things done in my day that I’d like but to actually create a GREAT day for myself and rub all that positive influence to my family too!! YES! It is possible!!! It is an exciting discovery for me that I want to share! The most important thing for me is to choose those things in my day that would bring me the most inner peace, calm, tranquillity within myself to be able to really listen. Really Listen to my heart and spirit inside me. And really listen to those around me. When I’m listening is when I will best know what is most important at any given moment. Alright, before you stop reading because you don’t want to get all crazy deep and spiritual, just let this sink in and give it a moment. I’m realizing the more I accept this and practice it, the more I understand it and easier it becoming and the more JOY I feel each day. It has opened the flood gates of happiness, motivation and love in my life. It has given me powerful perspective and motivation to do all those things I want most for me and my family. It really is SO simple but so empowering! Really listening favors people over tasks but motivates the completion of the most important tasks of your day. Pausing the floor sweep to squat and applaud my baby’s because he is now standing on his own and be there to catch him, and hold him and nuzzle him and laugh and giggle with him only keeps that mother fire burning within me. That gentle pause of routine doesn’t set me back, it propels me forward to continue what I’m doing with purpose and direction, for them and with them. Listening is calm and calm is power. I’m learning that once I’ve lost my cool, I’m letting myself lose the battle. Tasks don’t get easier if I’m frustrated, only more difficult. A tantrum doesn’t get any easier to resolve if am having a fit too. In fact the whole thing only inevitably turns into a big ole childish battle (can you say power struggle?) and nothing gets resolved–with the only difference being that I’m fighting like ‘an adult’ for my respect and dignity, of course. 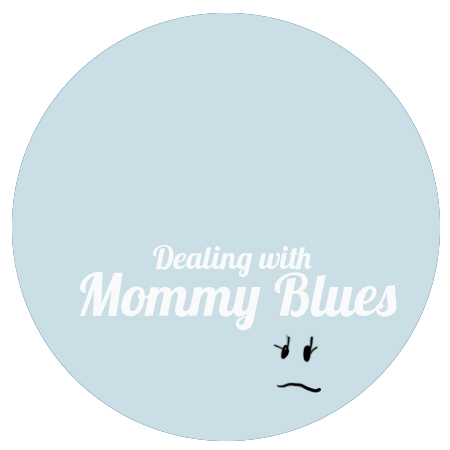 My kid learns nothing about dealing with emotions and I remain frustrated and end up feeling helpless. It is not to say that I’m not allowed to get frustrated. Of course I will run into upsetting situations, duh, I’m raising babies! But now I’m learning that when I’m stirring with negative emotion the best thing to do is gather my ‘power’ again. Step aside. Breathe. Close my eyes. Pray. Once I am calm again, I can approach the situation again without all the emotion. I gain perspective to deal with those heaven sent angels. I start to listening again and end up saying things that motivate them quicker and more pleasantly than raising my voice and threatening. It is crazy. It’s powerful. Tame the beast by keeping her well fed. Sometimes I feels like it is basically impossible to stay calm, you know, when the nasty, negative selfish, demanding person wants to take over. “The beast” as I like to call her. What I’ve noticed is she likes to show up quite often when I’m tired and hungry. So I’m learning if I keep my basic needs in check, like eating well and getting enough rest then ‘the other girl’ doesn’t feel deprived and doesn’t feel the need to take over as much. I’ve come to know that what my inner ‘beast’ demands is not what she typically needs though. She demands cookies, cupcakes and chips but needs whole grains, fruits and greens. She demands being lazy, staying up, sleeping in, but she needs exercise and a regular sleep schedule. I’m learning she even demands getting everything done NOW and going 100 miles an hour to achieve it, but what she really needs is to pace herself and take breaks. Sometimes the most important and productive thing to do is to just take a break/ nap to keep the beast under control! In the end, the beast and I are one and the same. Both are me and who I am. Taking care of the ‘beast’ is just taking care of me and is ultimately a show of self-respect. With self respect comes self discipline and vice versa. And once I have gained true respect for myself is when I am able to give the best respect towards my kids, towards my husband towards everyone around me. Thereby, I give respect to everyone else by taking care of me. The basics: eating healthy, getting enough sleep and breaks, exercise…MAKE time for it! It seriously is that simple. Do something to center, focus and gain your calm and listening power. I find mornings are a great to time to set the tone for the day. First thing I do when I roll out of bed is pray for that calm and listening power. I read scriptures to get me in that mindset. Journaling, meditating, pondering, breathing, hot shower are all great ways to get you in the mind set. Dinner, dishes, and laundry are my three main ‘home gears’ that keep the household ‘running’ around here. If those are accomplished then at least we have something to eat, something to eat on, and something to wear. I have a dinner plan, follow a simple laundry system and try to clean up after each meal to help out with that. There are times that even those simple things can be daunting though, you know, during pregnancy, post partum, those times of the month, baby up all night, bad days, too much going on…I’m finding those days it is more important to just ‘keep the beast fed’ by staying rested and taking it easy so I can stay in the calm and deal with, most importantly, my kids (and hubby) with patience. Then I also find it easier to cope with a house and life in disarray. I can just calmly remind myself that this too shall pass. It is more important to have a happy mom and kids than a clean house or anything else! The goal and joy of the day suddenly is not getting something done but embracing the day and the people in it. So..if i were to reconsider how my ‘typical day’ with dishes and laundry piling and kids going crazy I would now know that frantic chaos only leads to more. That things will only seem as out of control as how I feel about it. If let myself feel ok about things and myself, stay calm, breath and listen then I will best know how to treat and handle those little ones I’m in charge of and step by step get those things done to have things in working order again. Of course, I’m still very human and still tend to escape the ‘listening zone’ if you will, in favor of frustration, frantic hurry, or distractions. I’m learning the more I practice stillness and calm listening, the more I can do it and the greater joy and satisfaction I feel from it! I can feel confident and good that I’m doing the most important things in my day and just allow all other trivial thing just fall away. I’m seeing I can do MORE and BE more by doing this than any other thing. What have you found helps you prioritize your day? What ways have you found that help you really listen to your heart?.